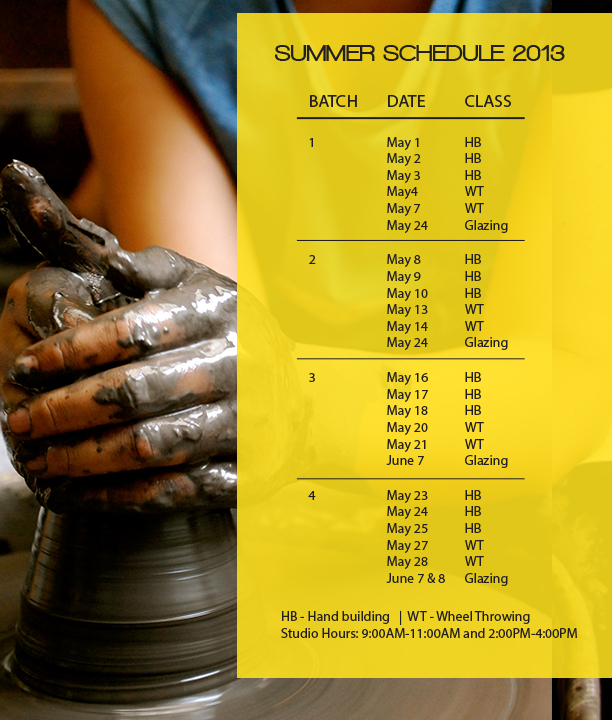 Manila Pottery Lessons – CREATE. PLAY. TRANSFORM. Halfway through the year and the rain starts to pour. Summer is over and I am thankful for old and new students, who chose Clay Ave, to be their summer destination. 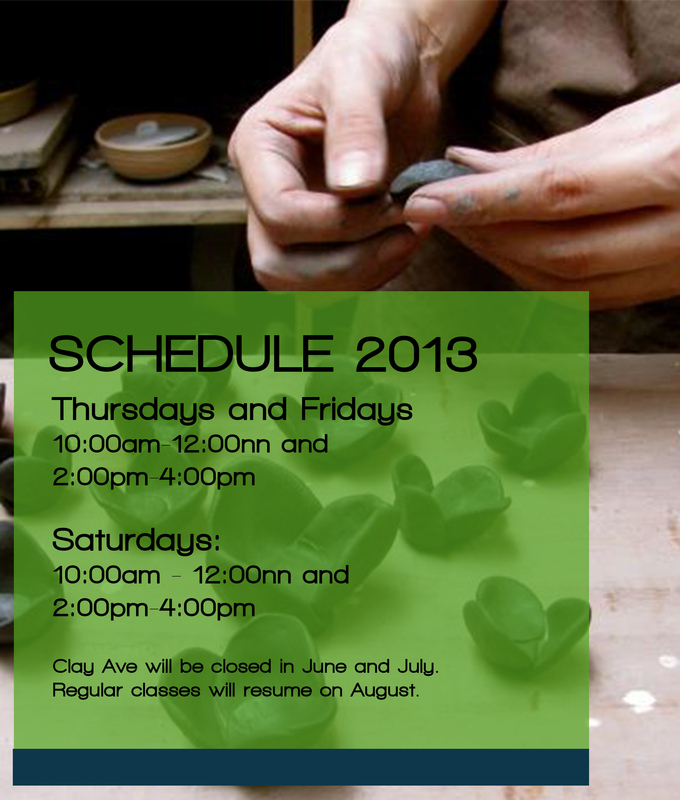 More workshops in clay will be taught starting in August. To those who have learned the basics in slab making, expect to learn more projects, using the rolling pin and wooden slats. 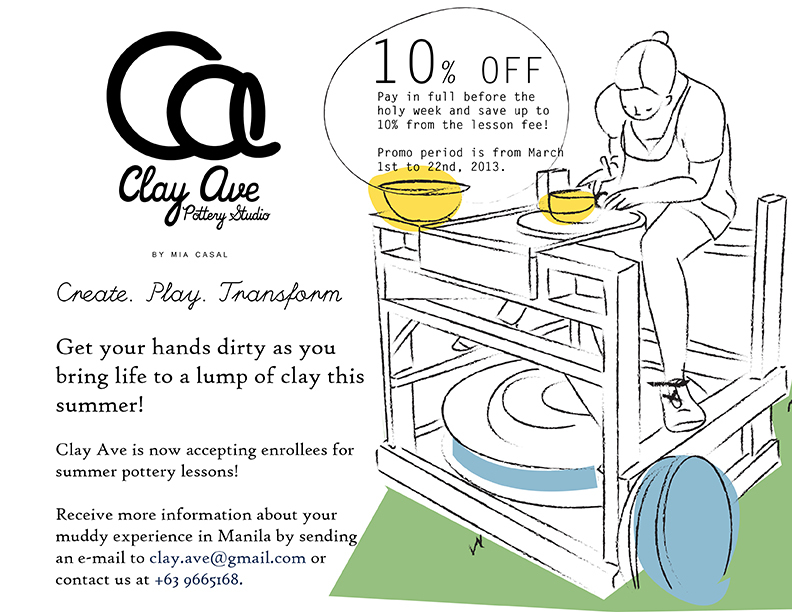 For students who enjoy creating pottery with the potter’s wheel, it’s time to make bigger pots too! See the flyers below to see the schedule in August, promo for lessons, enrollment policies, etc. 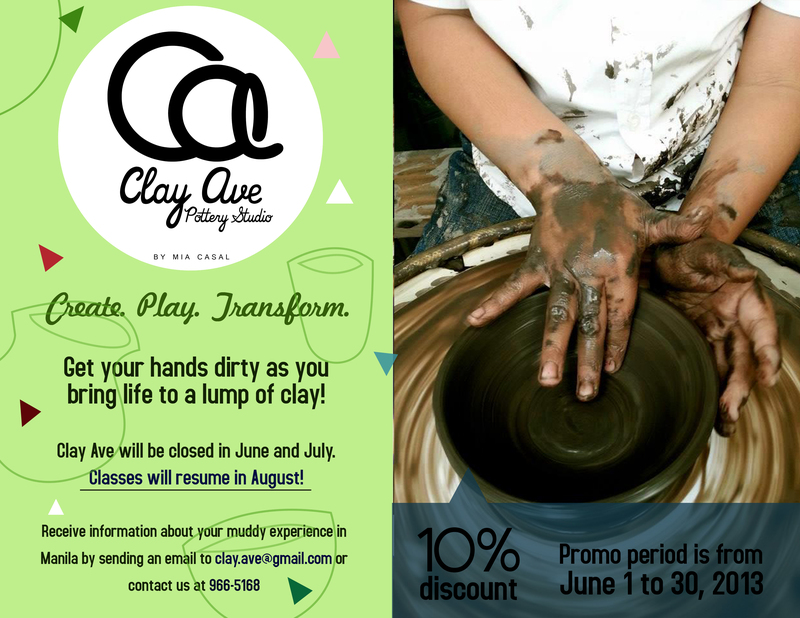 Slots for pottery lessons in August are now available. Reserve a slot and avail the 10% off. It’s the last day in February and the summer heat is here. One month to go before April, and parents are starting to look for summer workshops for their kids. 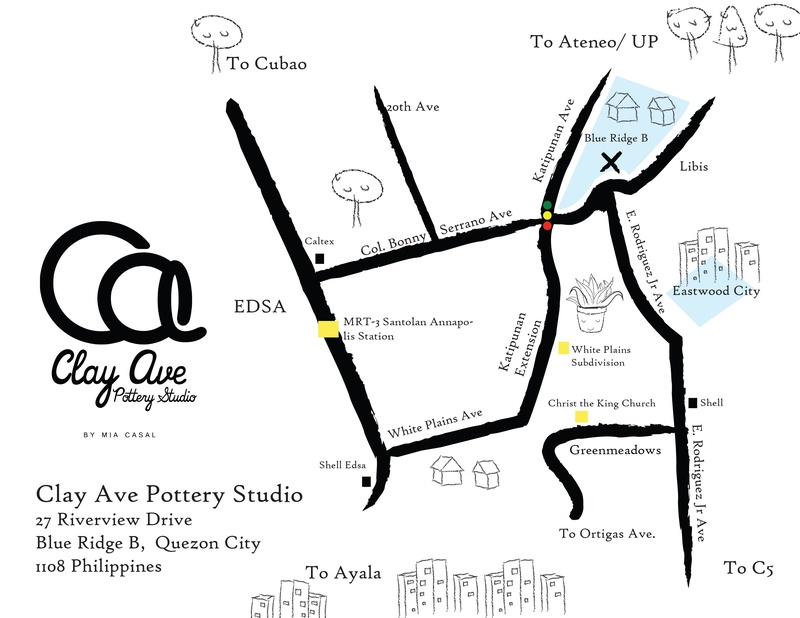 Clay Ave Pottery Studio in Quezon City is opening its doors to kids from age ten years old and up. Adults can join too! 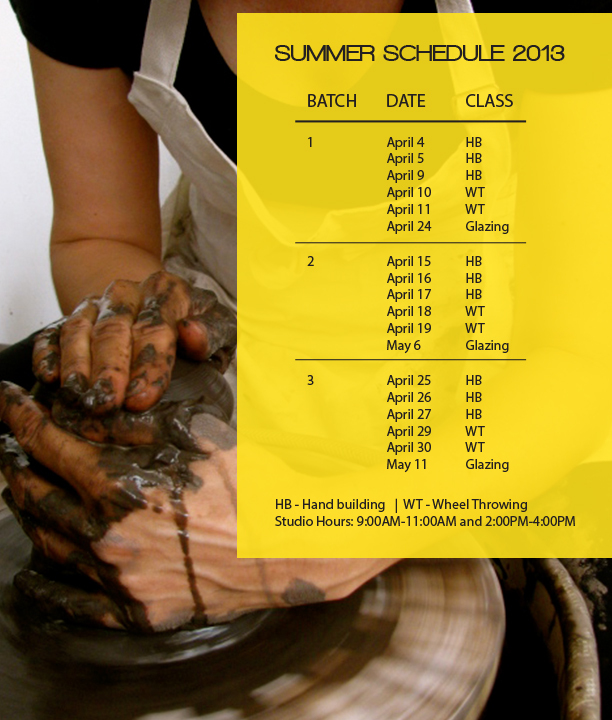 Learn the Basics of Hand Building Pottery and Basics of Wheel Throwing. 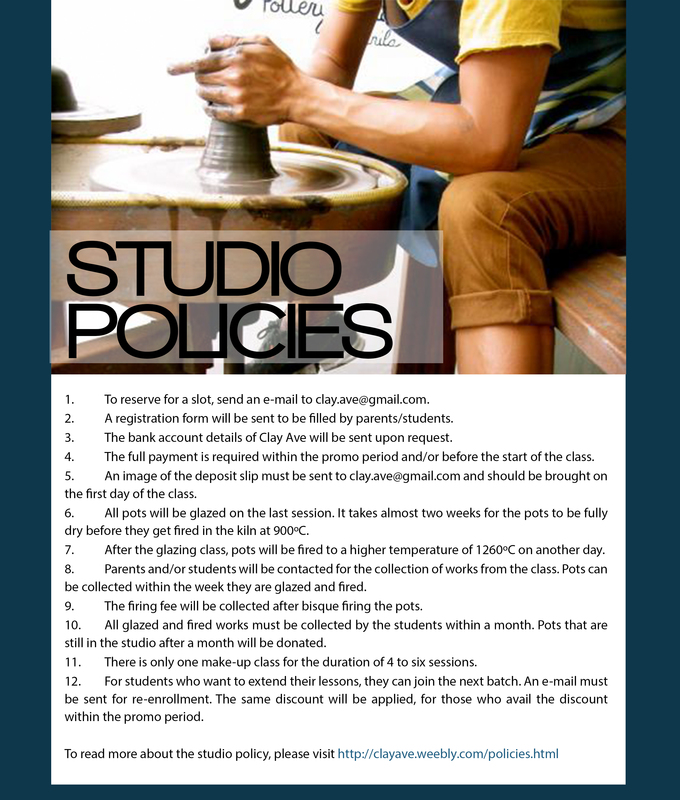 Make at least two projects per session and bring home your creations after glazing and having them fired in the kiln! 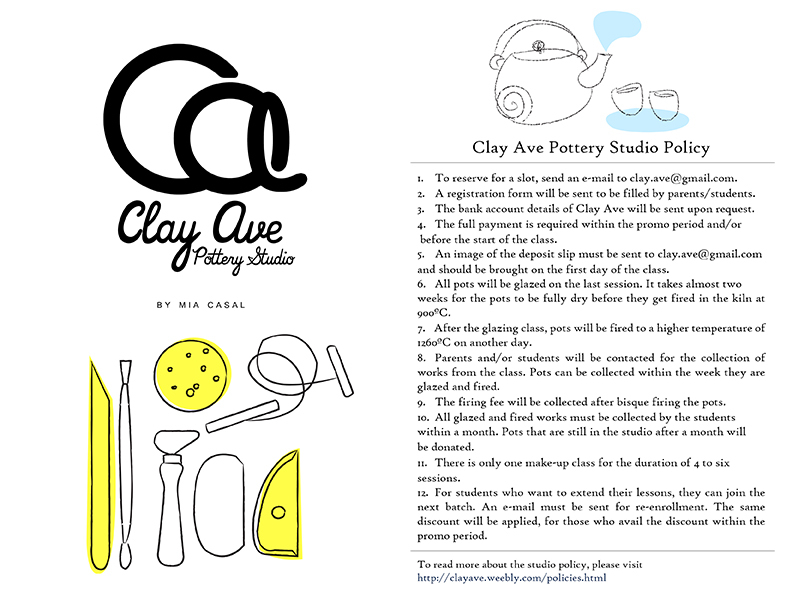 A pottery field trip is scheduled towards the end of May too!